Before Delivery We Have Test All The Items,But Because Of Shipping Out Of Control.If You Receive Items Is Broken,Please Don't Easily Give Us Nagetive Feedback.Contact Us And Get Nice After Buy Service. · l This project material silver plated platinum diamond. Allow the clarity and color is slightly different. · l Image is zoom in details. Please refer to the actual measurement. · l It is very powerful, more impact, bending and scratch resistant than gold, silver and platinum. · l Also 100% hypoallergenic, won't produce skin irritation or discoloration. It is environmental protection and health. 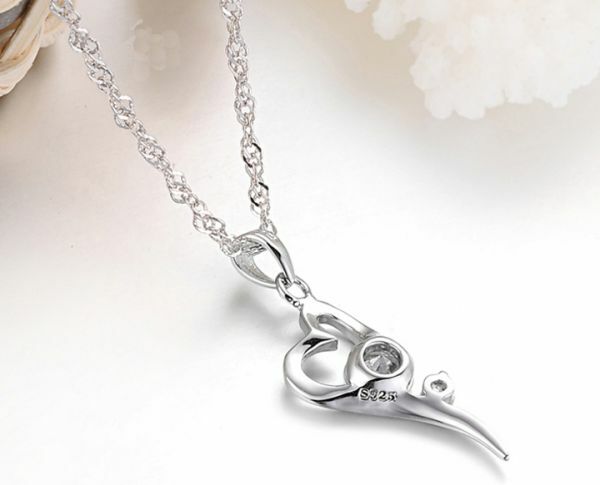 · l It is very popular, is developing very fast in recent years, data showed that the stainless steel jewelry increased by more than 100% a year. It has a bright future. · l Fine water wave chain, do not contain nickel, allergy treatment. · l Eight heart eight arrow Swiss diamond. · l 18 k white gold plated.Never fade.